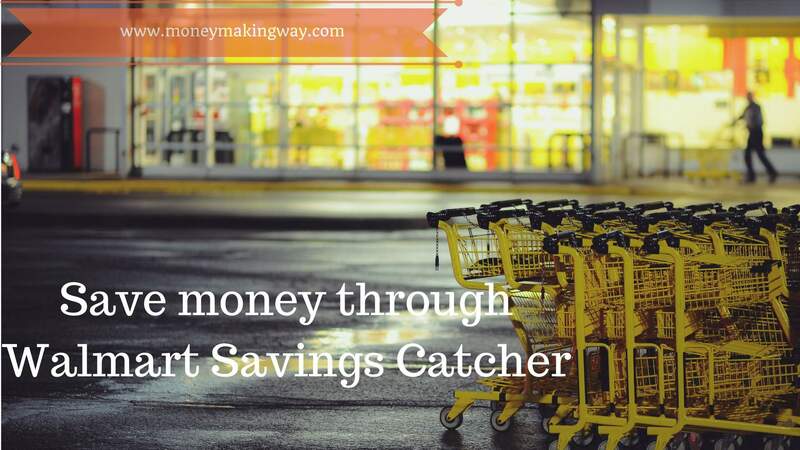 How to save money with Walmart Savings Catcher ? Walmart is one of the biggest American multinational retail corporation. We all visit Walmart to buy groceries, household, health, beauty and many other products. They provide lots of ways through which we can save money or reduce our shopping bills. Like Walmart free samples, and Save money with Walmart moneycard. The same way you can also save money through Walmart savings catcher. What is Walmart Savings catcher? Walmart claims that they offer the lowest price of the items. And the price is almost unbeatable at any other stores. But if you get any store which has the lowest price than Walmart, you will get difference amount as a cash back or e-gift card. Now you must be thinking that no one can beat Walmart price but that is not true. There are lots of items which you will find at lower prices. So this scheme lets you to save money even after shopping. All you need to do is enter your receipt number in Walmart savings catcher website. And they will compare your prices with top retailers who is advertising the identical product. And most of the times you will find that you receipt is catching benefits. How does Walmart Savings Catcher works ? There are two ways to get the benefits of walmart savings catcher. You can choose any way to get the benefits however App is a much better and easier way to complete the process. First you need to have access on Walmart App. If you don’t have then you need to download it. They have both IOS and Android app available. When you open the app you will the option of savings catcher. Once receipt is scanned rest is the work will be done by Walmart. They will inform you the results via email. The other way of doing is through their website. You must have an account in order to complete this transaction. If you dont have then create an account first. Enter the receipt number along with purchase date. Walmart will let you know the results via email. If any match found you will get the cash back or e-gift card of the differnece amount. Walmart compare the prices only the top stores that are listed with them. So if any store that doesn’t under their list you won’t be able to catch the benefits despite having lower price than walmart. They compare the price of items on based of UPC code. Apart from this these items must be identical in size, weight, color, brand, quantity and flavor. Slightest difference in the product won’t let you to get the benefits. It is consider only when product is 100% identical to each other. Which is right as well because if they are different you can’t compare the price. All non branded products are out of Walmart Savings catcher. Only US citizens over age 18 with a valid receipt are eligible. You must register and create the account in order to use the walmart Savings Catcher. General Merchandise is not eligible, Inlcuding but not limited to outdoor living consumables, Office supplies, dvd, electronics, gaming, Media, toys, books, magazine, shoes, jewelery furniture and seasonal products. Thos deals which are listed as available mentioned as manufacturer’s coupon, “on pack coupon” or coupon commonly found in sunday newspaper are not eligible. Prescription drugs, photo products, optical and any services or products that need a service agreement like wirelsess, automotive or financial products will not be eligible. Items placed on layway are not eligible. Returns items are not eligible for Savings catcher. If item is returned after receiving benefits then the given amount will be deducted. The maximum amount that can be redeemed by an indiviual is $599.99 per calendar year. You cannot scan receipt which is older than 7 days. Saving catcher is only count store buying receipt online receipt is not valid. Conditional purchase like buy Pepsi and get cereal for $1. Despite getting benefit from coupon you still can go for walmart savings catcher. Here you get cash back and e-giftcard after purchased which is not possible anywhere else. It is automatic system which is easier and faster. Here you get the double benefit. You can go for savings catcher despite applying the coupon. We can access through website or mobile app. which makes this tool convenient and faster. You get cash back rewards after your purchased. Not like other stores where you buy the item after looking the discounts. How to Redeem Walmart Savings Catcher rewards ? If walmart finds any match with lower price then customer is eligible to get rewards. And these rewards are given in two ways. If any listed store selling product lower than walmart price you are eligible to get reward dollars. For the difference amount. You can see this reward dollars in your walmart app. If you are using website then you need login and inside your accound you will find the details. How to redeem reward dollars ? Reward dollars can be redeemed to e-giftcard which you use at the store or online for walmar shopping. and if you are member of blue bird american express card then you can conver these in into walmart bucks. If you have selected e-gift card option then you will receive this directly in your email. take the printout and use this at any walmart store for shopping. Walmart Savings catcher is one of the best way to save money and reduce shopping bills. It is easy to convenient , faster and completely automatic. Which does not require any manual process to claim. All we need to do is to upload the receipt or TC# and system automtically finds the eligibile items. But we also found that it has many limiation so does not provide benefit to all the items. But overall it is great way to save money while doing shopping with walmart. I would recommend you can use some online software for this issue.